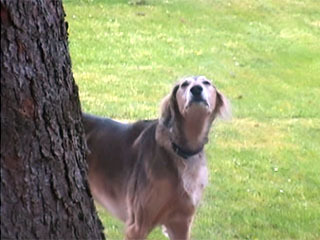 When my husband goes into the lowest floor of our house, in order to make music there, then Gorazan follows him at once hearing the first tones. 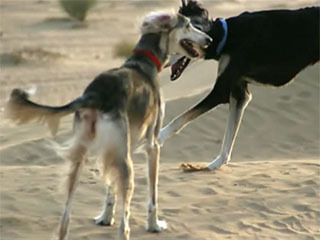 At this common fun he would absolutely like to participate. 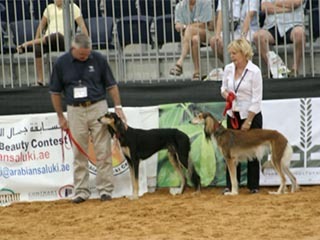 During my voyage to the United Arab Emirates, I also attended the “International Hunting & Equestrian Exhibition” in the new building of the Abu Dhabi National Exhibition Centre, from 24 till 27 October 2007. 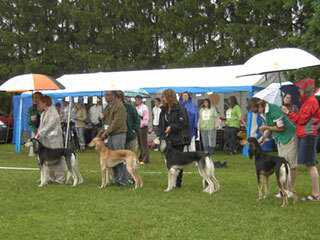 Demonstration of the Smooth-Salukis on Tuesday, the September 9th, 2006. 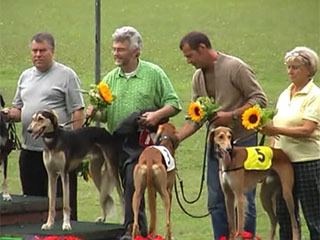 ... took place from 26 June to 2 July 2008 in Finland. 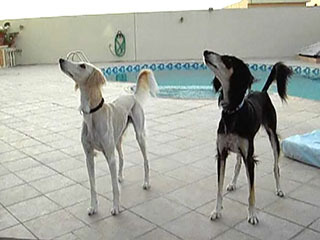 Numerous friends of the Saluki-breed from all over the world followed the invitation of the Finnish Saluki-Club. 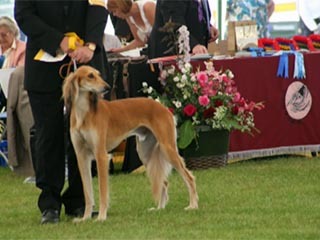 From 31 August to 7 September 2007 the Saluki Festival had been held at five different locations in England. It was an extraordinary event and success at the same time, because the festival was excellently planned and carried out. This event took place this year at the 24th ofJune during ideal weather on the beautiful course of the WRV Westphalia Ruhr in Gelsenkirchen. 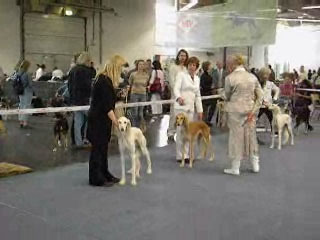 International Exhibition (VDH) from May 5th to 7th, 2006. 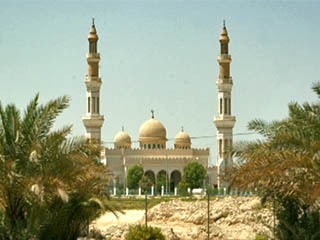 Abu Dhabi is the capital of the United Arab Emirates. 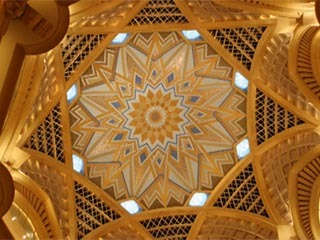 It has, for my taste a particularly beautiful Arabic flair. 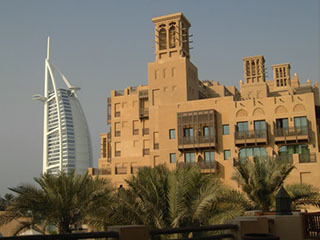 The metropolis - Dubai - is a pulsating centre of the Middle East and also a magnetic attraction for many businessmen and tourists from all over the world. Therefore gigantic construction projects are planned for the future further on and a lot of building-sites are to be seen at the moment. Once where only the desert extended, today more and more gigantic tower-blocks are growing into the sky.